David Jungquist has been a wealth management professional since 1991. 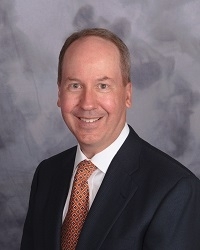 A Chartered Financial Consultant (ChFC) and Principal of Octagon Wealth Management, LLC, Dave specializes in providing comprehensive wealth management services, which include asset management, retirement income planning, risk management, estate preservation and the various aspects of business planning. He also has extensive experience in philanthropic planning, an area that is of personal interest to him and his family. Octagon Wealth Management, LLC, is part of an alliance of financial professionals known as Octagon Financial Group, Inc. Founded in 1988, the partners of Octagon Financial Group, Inc. have, collectively, over ninety years of financial services and investment management experience. This alliance offers a wide range of financial advisory services that are resources for Dave. In his work with clients, Dave focuses on helping them envision their future and accumulate, preserve and transfer their wealth. He provides the necessary guidance and advice to help them achieve their goals. Philosophically, he believes in comprehensive wealth management, and works closely with his clients and their trusted advisors to ensure that all aspects of their financial situations are considered and addressed. Adherence to this unique process is one of the reasons that Dave’s client retention rate has exceeded 98.3% for the ten-year period ending 12/31/20171. Dave is a member of the Financial Planning Association (FPA), the One Percent Club and the Society of Financial Service Professionals (FSP). As past board member of the FSP, he chaired the chapter’s financial education and pro bono efforts to strengthen relationships with the Minnesota chapter of the Multiple Sclerosis Society (MSS) by providing financial counseling to MSS members at no charge. Prior to joining Octagon Financial Group, Inc. as a partner in 2001, Dave was a financial advisor with CIGNA Financial Advisors (which was later acquired by Lincoln Financial Advisors). Prior to that, he spent four years working for CIGNA Retirement Services in Chicago, designing and implementing 401(k) and other retirement plans. Dave and his wife Kathy, a mortgage professional, have two daughters. In his leisure time, Dave enjoys travel, golf and reading – but he always makes time for his volunteer activities. Most recently, he has served on the Parish Council of his Church as well as the Advisory Board of his children’s school. He also created and chaired the second largest annual fundraiser for his children’s school. 1Average annual retention rate – January 1, 2007 through December 31, 2017 – based on client households with assets greater than $100,000 under our supervision.